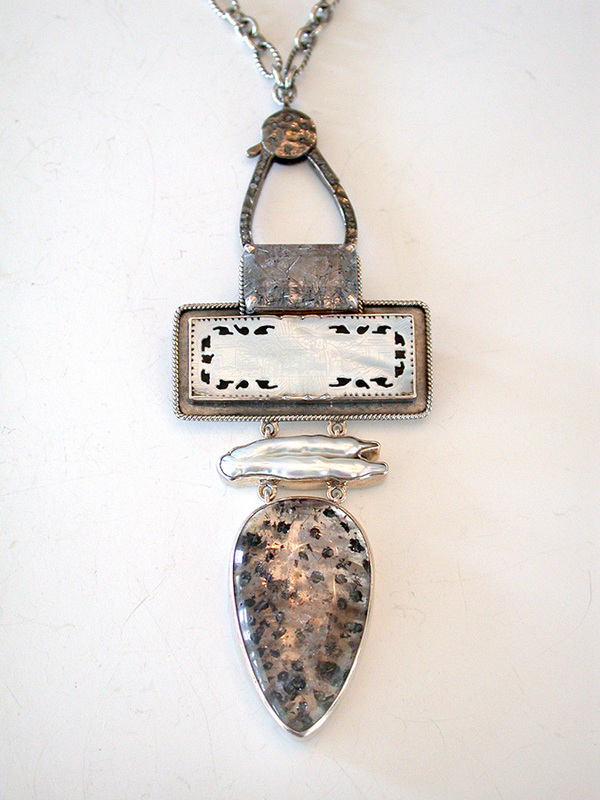 Beautiful handmade necklace by Amy Kahn Russell features a pendant with tourmalated quartz, an antique Chinese mother of pearl game piece and a natural freshwater pearl bezel-set in sterling silver. The pin/pendant can be detached and worn as a pin or used with a chain of your choice. You may purchase the pin/pendant only for $488 or the whole set (pin/pendant plus the necklace/chain) for $756. Sterling silver lobster clasp.